Deadpool was the film of 2016 that managed to exceed all expectations, both in terms of comedy, action and box-office earnings. And we’ve heard precious little since the announcement of the film and the ‘teaser’ for the new film that is literally just a short film that has nothing to do with anything. As awesome as it was, it’s nice to get some proper news on what’s going down on the antihero’s film set. And have we got some news. In fact Ryan Reynolds has tweeted the first look at Josh Brolin as Cable in Deadpool 2. The first tweet was swiftly followed by another image that revealed more of Cable’s character design. I have a personal theory about this announcement, that it wasn’t in fact Ryan Reynolds that tweeted the pics at all, but Deadpool who hacked into the phone and released them in a meta form of cyber-hacking. We’ve seen plenty of Brolin getting jacked for the role in the gym, but this is the first time we’ve seen him in full kit. Reynolds (or Mr Pool himself) has been dropping little hints and teasers for the past few weeks on social media, including one of him all clad in red outside the X-Men Mansion. Cable is the son of Cyclops and has been sent from the future, he’s pretty grumpy and it’s going to be exciting seeing Deadpool rinse him for 90 minutes or so. The hype is well and truly on! 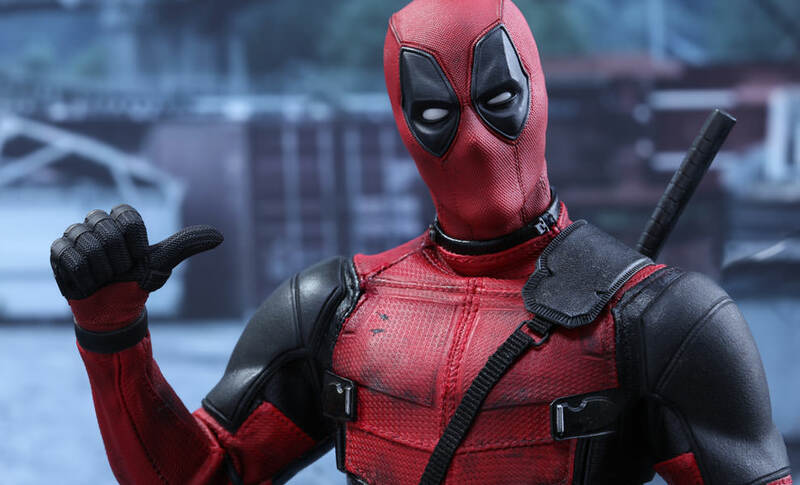 Deadpool 2 is currently slated for a July 1 2018 release.